This page created 6th November 2017. The President was Plaxton's competitor in the low-floor double-decker market, rivalling Alexander's ALX400. The London versions had two doorways on the nearside. Those for London General and London Central were 10.0m long, on a Volvo B7TL chassis. They seated 41 upstairs and 21 down, giving a seated capacity of just 62, less than a standard Routemaster! But they did have a wheelchair (or buggy) space. Not many of its downstairs seats were in the low-floor accessible section. The window line downstairs was lower alongside the low-seating sections to try to avoid the claustrophobic feel inside that generation of double-deckers. London Central and London General used gasket glazing. The straight staircase was in the middle of the offside on the first 143, after which later buses had it behind the driver, which seemed to make the downstairs layout work better. London Central began to receive its Presidents in March 2000. They arrived mostly via Volvo at Bedlington, and passed on to London Central at Bexleyheath. They were to replace older buses, mainly Titans and Volvo Olympians NVs on the 422, 229, 89 and 401. They soon strayed to other VN/T routes, such as the 51 and 492, resulting in the retention of some Titans. Stockwell borrowed three of the Bexleyheath batch for training purposes during April and May 2000. They returned to Bexleyheath at the very end of May. Meanwhile Stockwell had taken delivery of four of its own Presidents, in London General garb, which it used on events such as the Chelsea Flower Show Park & Ride. It started its main route conversions in June, taking delivery of buses to re-equip the 77A, 37 and 88. The new buses that had been in store at Volvo Beddington came in a rush. They wore London General logos, but were otherwise similar to the first batch for London Central. 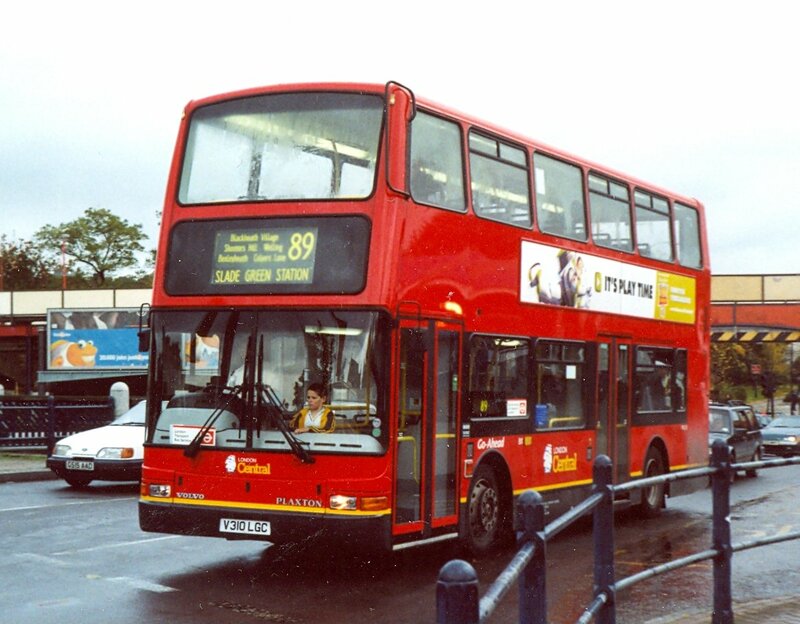 Two of Stockwell's buses moved to Merton as trainers in advance of their conversions in July. Merton started PVL operation towards the end of June, on the 270 and 280, and continued into July and August with the 44 and 77 as well (together with the 22 on Sundays). There were not enough PVLs at first, so they worked alongside some Metrobuses on the 88 and 280. Merton's PVL138 roars out of the Belmont terminus on the 280, in April 2007. 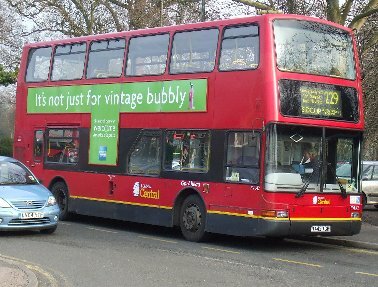 Merton's PVL69 has a spectacular rear ad, on the 280 in March 2010. The next batch of Volvo-based Presidents arrived in October, PVLs 144-155 going to Merton to continue their conversions, and then PVL156-177 to Stockwell. 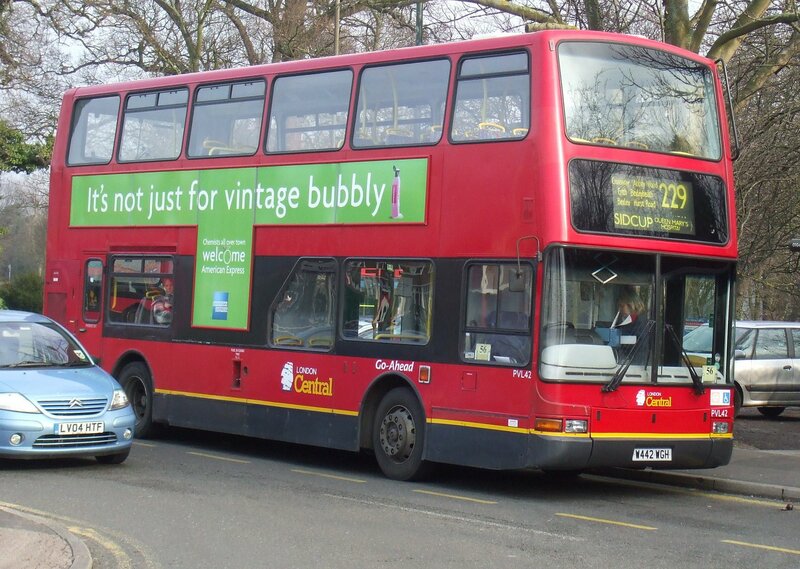 Some of these were to cater for the extension of route 88 to Camden Town. These Presidents were rather different, in that the staircase had been moved forward to behind the cab, with rearrangement of the wheelchair/buggy area and seating. Capacity upstairs stayed the same, but downstairs gained two extra seats, making them H41/23D. The nearside display was also in a different position, at the top of the first window rather than at the bottom. By this time the London Transport Service transfer had given way to a roundel and a disabled access sticker. Thirteen PDLs arrived too. These had 9.9m President bodies on Dennis Trident chassis. They too had the forward-mounted staircase. They were mainly allocated to the 88, from Stockwell, with London General logos. They were very similar to the PVLs - well, they were Presidents too! The arrangement of grilles on the back, and the full width rear window made them recognisable from the rear. To my mind they also had less ground clearance at the rear, which may be why they were kept to their own routes. The arrival of extra new buses took some of Stockwells PVLs onto routes 133 (VC), 196 (VC) and 345 (LDP), while Merton was using them on the 155 (LDP). 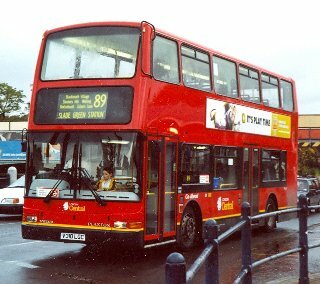 But on 2nd December 2000 London General took over route 188, operated from Stockwell using PVLs, and transferred operation of the 345 away from Stockwell. So the PVLs reverted to where they should be. In January 2001 Stockwell converted route 37. Stockwell was suffering staff recruitment problems, so Putney was given a small share, initially a pair of Metrobuses, then three PVLs. Ian's Bus Stop. 2000. 2001. PVL histories. PDL histories. PVL photos.